GRAFENWOEHR, Germany — The four communities making up U.S. Garrison Bavaria are transitioning to a new single portal DOD website designed to make it easier for Soldiers and family members to find childcare. Garmisch, Grafenwoehr/Netzaberg, Hohenfels and Vilseck will begin the transition in April and May 2017. The site is expected to be operational by late May. Soldiers and families will use www.MilitaryChildCare.com as their website to search for and request child care services where they are or where they are planning to move. MilitaryChildCare.com will replace the Child and Youth Management System waitlist for child care programs. 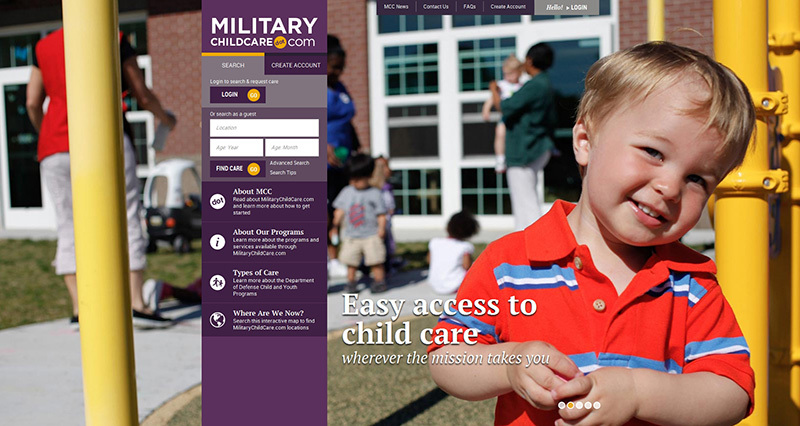 The new single online gateway provides access to a wide array of military-operated and military-subsidized child care options across all services. Using MilitaryChildCare.com, parents can find comprehensive information on child care programs worldwide, conduct a customized search for the care they need, and submit a request for care at any time from any location. The site also enables families to manage their requests and update their profile online. Specific details are available at the MilitaryChildCare.com FAQ page. If you have questions, contact the Parent Central Services near you. For Grafenwoehr, Netzaberg and Vilseck, dial DSN 476-2760/2658/2851, CIV 09662-83-2760/2658/2851. In Hohenfels, dial DSN 466-2078/2080, CIV 09472-83-2078/2080 and in Garmisch dial DSN 440-2284, CIV 08821-750-2284.